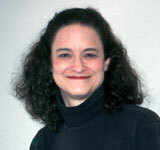 Originally from Chicago, Marcia is a graduate of the University of Michigan in Ann Arbor. She took up quilting in 1992, after a lifelong interest in other needle arts, and has been pursuing her interest in textile art full-time since 1996. She is the author of Picture This! Appliqué Pictorial QuiltsFrom Photo to Fabric, published by C&T Publishing in 2010.